Simple, powerful rebalancing software for financial advisors. 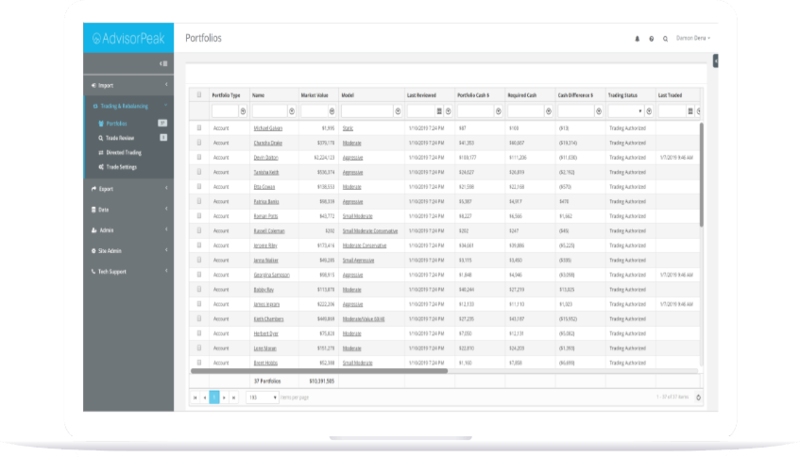 With over 10 years of development and refinement, our rebalancing software is the most powerful yet simple way to manage your client portfolios. Our software is supported by the most experienced development and support team in the industry. It’s time for a new industry standard in portfolio rebalancing. What can our software do for you? Our software seamlessly integrates with the software and system you already use allowing your firm to be software agnostic. We fully support most major custodians and portfolio management systems as well as service and analytics partners. AdvisorPeak makes it easy to manage allocation models, from simple to complex. Our algorithm monitors your households and accounts and provides real-time data for quick decision making. The world moves fast, AdvisorPeak helps advisors move faster. Supports all types of securities, mutual funds, stocks, ETF’s, fixed income, hedge funds or currencies. Set unlimited security equivalencies, manage fund and redemption fees, set do-not-sell restrictions or treat securities as cash. Persistent montoring algorithms provide real-time data and alerts based on your unique settings. Set custom trade minimums, and trading fee thresholds. Allow for drift % from target and optimize for tax savings. Then make bulk trades with rapid precision. Straight-through trade routing to virtually every custodian and brokerage firm in the country to simplify your trade execution. Institutional-grade Trade Order Management (TOM) available that includes block trading, order sets, and algorithmic trading. AdvisorPeak’s service and support team is unmatched in the industry. From onboarding to troubleshooting we will be there to guide your team every step of the way. Our software is a result of years of feedback from our clients, your voice matters. AdvisorPeak started from the ground up, creating an entirely fresh and focused user interface. From onboarding to setting up models to managing accounts, trading and rebalancing, our updated interface feels natural and intuitive. Ready to give AdvisorPeak a try? We’re an extension of your team, here to make sure you get the most out of technology and tools. 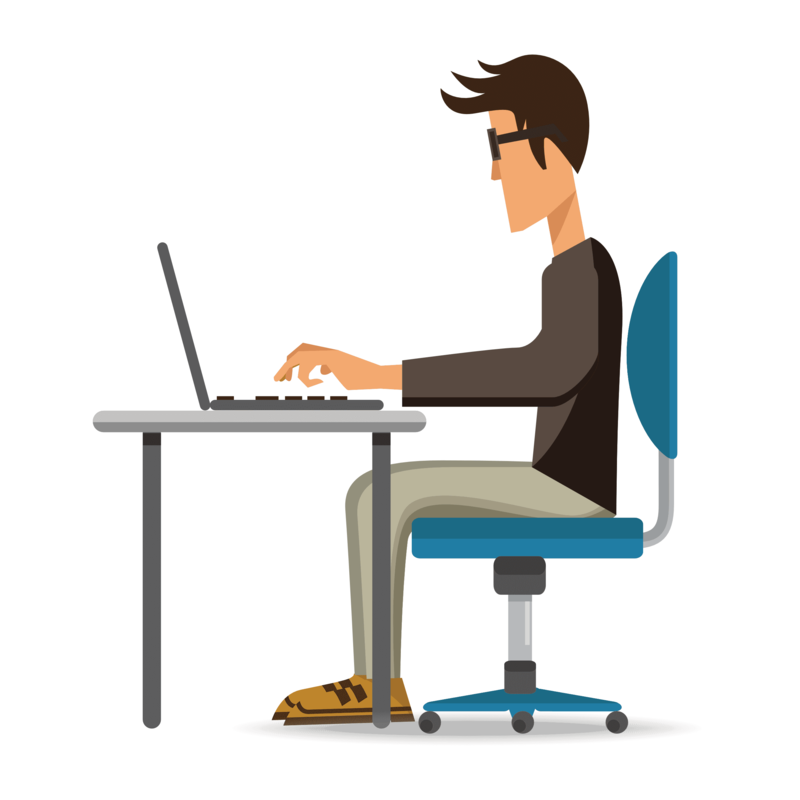 Our team of developers, designers and support agents is the most experienced in the industry.